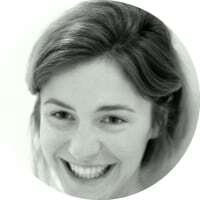 Maxine is a researcher working at the intersection of data science and dementia at University College London. Her PhD involves mining medical records for new predictors for dementia. She is passionate about understanding how we might make better use of routinely collected data to improve our cognitive health. Alongside this, she is the co-founder of One HealthTech – a community which champions and supports underrepresented groups, particularly women, to be the future leaders in health innovation. Her professional work has led her to the Royal Society, Roche, L’Oreal, Department for International Development, and NHS England. She is part of a number of communities and committees including the World Economic Forum’s Global Shapers, the British Computer Society and the Institute of Engineering and Technology. She really really likes fancy dress. HOW DID YOU GET TO BECOME AN EXPERT IN HEALTH TECH AND DATA SCIENCE? I find it hard to think of myself as an “expert” as I do think I’m at the beginning of this journey. I started off studying neuroscience and pharmacology, before doing a masters in health economics and health policy. Alongside the masters I taught myself to code. Data science seemed the obvious route to take which combined the health bit in neuroscience, the modelling bit in health economics and the programming. I co-founded One HealthTech, which started off as a meetup group. A great by-product of running a community is you get exposed to SO much increasable stuff and amazing people in the space, that’s it’s very easy to learn a lot passively, just via osmosis from the network. The new definitions of diseases, their ontologies and classifications. I think it’s very exciting that we are breaking apart our constructs of what a disease is and how one disease interacts with another in such a way that clearly indicated a common underlying cause and pathway between all ill health. Data-driven disease definitions! Another area I am very interested in is the IP. For healthcare to be truly transformed using AI, accessibility is absolutely key. My partner came up with a neat concept around of algorithmic generics. Given the brain drain of academics into industry and the proprietary nature of many of the supposed commercial black boxes, we are starting to see a concentration of valuable AI seeping further and further from the public domain and for public good. WHICH HEALTH TECH AND DATA SCIENCE INFLUENCERS INFLUENCE YOU? It’s hard to say, I definitely follow a range of different people on Twitter – some who are die-hard NHS supporters, others who are economic skeptics, others who hate digital health snake oil, and people who retweet good digital health noise. I wouldn’t say there is any one person, but a good mix and balance of lots of different types of voices I find comes together to influence me to be more critical, and also learn things I wouldn’t have otherwise come across. OUTSIDE OF ARTIFICIAL INTELLIGENCE WHO ELSE INFLUENCES YOU ? All the team at One HealthTech, the community I co-founded a few years back, to get more women working in healthtech. My co-founder Louise Sinclair, as well as Beverley Bryant, Angela Maragna – the whole lot of amazing volunteers. They are a mixed bunch who have so much unadulterated enthusiasm and energy to do good and drive the future of healthcare, it’s hard not to be influenced in different ways by each of them. Podcasts, webinars, whitepapers, speaking opportunities, product development, all of the above – and sponsorship of a large grassroots healthtech network (One HealthTech). Supporting many people doing far more interesting things than me, reach their potential.